hosted by Happy Mothering and DeDa Studios. More than 60 participating blogs that each have a prize package worth at least $20 that will help you live a more eco-friendly lifestyle. The Garden Guys and Dragonfly Organix have come through for me once again! Those of you who read my blog already know I love all the great eco-friendly products they offer. If you know anything about COPD, you realize how important it is to also be able to breathe easily while using your cleaning and gardening products. Lets look at a couple of products. Garden Neem for example is an environmentally friendly insecticide and fungicide. A fantastic alternative to the chemical based insecticides available on todays market. The Neem Tree (also known as the Margosa Tree) is used in Garden Neem, but did you know that same ingredient is also used for numerous health benefits. Neem oil and leaves promotes shiny, healthy hair, combats dryness and has been known to prevents premature graying. The neem tree oil and leaves are also a great addtive for dry and itchy skin. If it is that good for you just thing how great your house plants and garden will feel. Read more about Garden Neem HERE! 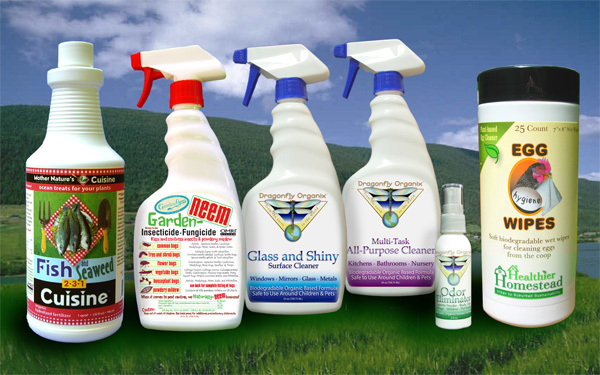 Dragonfly Organix All Purpose Cleaner is another great product for Honoring the Earth, as well as yourself and family. It is the best of both worlds since you get a fantastic cleaner without breathing the unnatural harsh chemicals of most cleaners. FYI, you would be so suprised at how many cleaners on the market are on the EPA’s toxic and dangerous list!! Whether you live on a farm or grow a patio garden you will also be interested in Mother Nature’s Cuisine Natural Fertilizers. I love all they offer but will say I am partial to Mother Natures Fish and Seaweed Cuisine. Last year I moved my Firepower Nandina bushes (about 12 of them) and I added a mixture of Mother Natures Fish and Seaweed to each one as we transplanted them. I fully credit this wonderful fertilizer for saving them and pulling them out of the shock of moving. Now the Garden Guys have a weekly radio show on 96.9fm out of Boston on Sunday mornings from 7:00 to 9:00 est. You can also listen to their podcast on their website. You can call in to the show with all your garden questions!! Well I can talk about The Garden Guys all day long but I must get you on your way to ‘Honor the Earth’ Hop so here is what the good people at Garden Guys, Dragonfly Organix and Mother Natures Cuisine have put together for one reader to win!!!!! 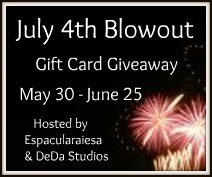 Just enter with the Rafflecopter HERE! And be sure to visit all of the other amazing blogs listed below. Thank you and good luck! great products! I love this company. I have been hearing more and more about this company! Thank you for sharing!